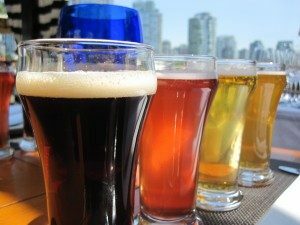 Do you want to know the difference between an IPA and a Best Bitter? Or maybe you can’t quite put your finger on a certain flavour – is that some grapefruit, blackcurrant or roasted coffee you’re tasting? Or maybe the difference between Citra, Cascade or Goldings hops? Well, why not book yourself into our tutored tasting session on Friday afternoon at 5pm and we’ll give you some beer samples and describe what you are smelling and drinking! The cost is just £5, and the session will last about an hour. Numbers are limited, so first come, first served. Please sign up below by providing your name and email address. Payment will be taken at the CAMRA Products Stall located in the entrance foyer. Please meet at the stall no later than 4.55pm. Alternatively, you can ask if there are any spaces left when you arrive at the festival.